In the aftermath of the extremely close finish to this year's World Drivers Championship, I have noticed a huge wave of sympathy for Felipe Massa in the death of his hopes at the last. This is all very magnanimous from Lewis Hamilton supporters (and I have no doubt that Massa supporters would have been equally gracious had their man won) but I am going to stick my neck out and question whether it is deserved. Massa did something this year that negates all the praise being heaped upon him now, as far as I am concerned. I can accept that he was not responsible for the stewards' decision at Spa, where he gained a useful six point bonus on Hamilton, and the same applies to his token penalty for unsafe release from the pits in Valencia. The moment that I cannot forgive him happened as a result of Massa's collision with Bourdais in the Japanese GP. Other times, as was the case with Bourdais, we have to wait until after the race to talk to the drivers. That makes it clear that the stewards listened to the drivers' viewpoints before deciding on blame and penalty for the incident. And it means that the stewards opted for Massa's wildly unrealistic version of events and did not consider Bourdais' question of where else he could have gone. That was astoundingly bad judgement on the part of the stewards (they had the video evidence that made Massa's version a complete fiction) but, more importantly in our consideration of Felipe, it displays a worrying lack of sportsmanship. Any reasonably honorable F1 driver in Massa's position would have put the collision down as a racing incident. They might deny being responsible but I cannot see them claiming that it was all Bourdais' fault. Yet that must have been what Massa did or the stewards would have had no reason to penalize anyone. It is plain dishonesty and reminds us of Massa's ludicrous claim that he passed Raikkonen in Shanghai through superior speed. That is why I feel that Massa did not deserve the championship this year and why I have no sympathy for him in his loss. Let him win fair and square and I might accept him as genuine championship material. Much is being made of the terrible disappointment evident on the faces of Massa's family and team members as the realization that he was not champion dawned on them but, again, I have little sympathy. How much sympathy was meted out to Hamilton's family and team when they had a race victory stolen from them after all the celebrations and champagne? The comparison is there to be made and I might suggest that it is an easier matter to have the spoils ripped from your grasp only seconds after you think they are yours, than to be similarly cheated after having owned the victory for several hours. The single point gained through the Massa/Bourdais incident in Fuji turned out to be very significant. Without it, there would have been no heart-stopping tension down to the wire in Brazil, no wild fluctuations in fortunes and no exultation that ended in tears or vice versa. That lonely little point, so sordidly gained, proves to have been the cause of so much joy and sorrow and I am left reflecting that, in a very odd way, justice has been served in this too. Sympathy for the loser? No, not me - the rightful champion won in the end. It's an interesting point of view that one incident could cloud your view of Massa being champion. Given the whole season and sport as it is, both drivers and in fact most drivers have pulled some unsportsmanlike moves. Not that I am in favor of these things, but sport is sport. Hamilton has had his share of moments this season and although I was pulling for Massa, I would have felt just as bad for Hamilton had he lost the championship on that last lap. To me there are 2 champions this year, Hamilton and Massa. An eminently sensible point of view, BMWF1Guy, but I think there is a difference between unsportsmanlike moves made in the heat of battle and the dishonest attempt to place blame elsewhere after the event. Hamilton has been honest enough to apologize for his mistakes - has Massa? I think we're looking at two entirely different approaches to the sport and, of the two, Hamilton's is the more befitting a champion, if you ask me. So if there are two champs this year how many were there last year? I have some sympathy for Massa's family but in the end the right man won. Aside from the Bourdais incident the non-penalty in Valencia bugs me. Every unsafe release I can recall has been given a drive through penalty apart from one. The fact that on the same day Bruno Senna was given a drive through for exactly the same offence and Massa was given a drive through when he was well out of the points in Singapore tells you that decision was as crooked as the Bourdais penalty. The idea that it was unfair to take the win off Massa in Valencia as many people suggested at the time didn't seem to translate into it was unfair to take the win from Hamilton in Belgium. With fair stewarding it is debatable if the championship would have been at stake in China let alone Brazil. Lewis Hamilton is the only world champion this season. The only reason Massa was in any position to go through the emotional roller coaster at Interlagos was due to the crooks who run the sport. Yes the sympathy is deserved, and you are empty-headed, uninformed and vindictive. How is losing a race comparable to losing a championship? Be petty and vindictive toward Massa all you want (even if it does vindicate how many of us feel about Lewis' "fans", that being that you are all low class, low rent petty bandwagon jumpers) but leave his family out of it. Seriously, that's sick. I can understand being anti-Massa like you appear to be, condemning the man for one event (when any driver would have done the same), but to bring his family into it and seemingly take pleasure from their heartbreak is the act of a borderline sociopath. This may be the most ill-informed, vindictive, petty article I've ever read, and shows what fans like you really are when it gets down to it. Jingoistic, blinkered, ill-mannered classless oafs, only marginally better than the racist bigots in Spain. Egon: So I take it that the constant abuse and ridicule directed at Hamilton and his family this season are fine in your book but I am not allowed to suggest that Massa is less than perfect. Your arguments consist mainly of insult and you do not answer any of my points. In response to your sole rational question, however, the loss of a race victory is comparable to the loss of a championship, particularly in seasons where all hangs on the last race, as this one did. In Spa, the stewards took away sufficient from Hamilton to turn what was becoming an unassailable lead in the championship into a close-run battle again. And that was not the only time Hamilton has seen points taken away for offences imagined by the stewards, each time inducing similar feelings in the Hamiltons as were experienced by the Massas in Brazil. As for taking pleasure from Massa's family's disappointment, I do not, but I do set it against the disappointments and frustrations that Hamilton's family have suffered this year. No doubt you have as much sympathy for them as I have for the Massa clan. Wow Clive!! Do you really think Massa's opinions swayed the decision making process in Mosley's court involving a Mclaren car?....Really? I dont accept all that Massa has spoken in this season. most notably, blaming Sutil for the pit lane release was as lame as it could get. But your arguement here really stretches logic a bit too much for my comfort. For the record, its not like "The Hamster" has been all perfect this year. Accusing the reigning WDC for not having "the balls" to overtake him showed a clear lack fo respect for fellow drivers and venting his frustration on being stripped of points (his rightful points) on a helpless target. Kimi was not to blame for it. And pushing Glock and Webbo on to the grass in a high speed circuit like Monza showed how much respect Lewis had for other drivers. Driving a fast car did not mean he owned the circuit and other drivers should move over for him. As a separate incident, i though the penalty for Lewis in Fuji was deifning the word ridculous, but in the scheme of things i think he deserved that one as he was getting way for too long with the same on track antics. I am not going on with an Anti-Hamilton rant here. In fact i think he thoroughly deserved his title and congrats to him despite all his shortcomings. Much the same way, Massa too had his shortcomings and not to mention misfortunes. So either of the two deserved the title. I am all for giving credit to Lewis, but dont beat down Massa based on a flimsy argument. Give credit where it is due and yesterday he really was a true sportsman overcome by emotions. Oh and btw, I am yet to see a single quote attributed to Lewis with a few words for Maasa. Whereas Massa acknowledged Lewis' brilliant campaign in the first press conference he did. Says a lot about sportsmanship, doesn't it? This is perhaps the best and bravest post I have yet read on your blog. And I already considered you to be the best F1 blogger in English. Massa suddenly is being praised as this great sportsman, yet I don't think I have ever been more appalled by anyone's shameless and wanton *lack* of sportsmanship over the course of a season. Massa seems delusional at times. After Spa, he claimed that Hamilton had been "too optimistic", even though he had followed the law to the letter in handing the place back to Kimi. The subsequent next corner "clarification" was merely window dressing for a nifty piece of ex post facto lawmaking by Max and his perjuring cronies to justify stealing points from McLaren and Hamilton. After the Bourdais incident he claimed the Frenchman was to blame when anyone with eyes could see that Seb had nowhere else to go, and that if anyone was in a position to avoid the collision it was Massa. But for me the Bourdais incident pales by comparison with two episodes that expose Massa, not just as a poor sportsman, but as pretty nasty piece of work who is aware of the authorities' anti-McLaren and pro-Ferrari bias, and has become quite comfortable in a transvaluated moral universe that has his competitors punished for his infractions. The first was his ludicrous assertion that Sutil was to blame, and should have given way, in the Valencia "unsafe release" incident for which he got a fine, when it should have been met with the same punishment as that he subsequently received for a similar incident in Singapore. In the latter case, the correct penalty was applied only because Massa's race had been terminally compromised, thus on this one occasion he could "safely" be accorded the same treatment as any other competitor. The second incident is the Fuji case where Massa claimed that Hamilton had been to blame for "pushing him off the track", despite video evidence showing that no such thing had occured: Hamilton had nipped in as he had gone wide of the racing line. It is clear to me that Massa had a red mist moment at the prospect of his main WDC rival going off into the distant because of his own mistake, so did not take too much care to avoid Hamilton when rejoining the track. Donnelly: "Max, we've really got to do something this time. Massa has rammed Hamilton in an avoidable collision. I know we don't penalise red cars, but this one's way too obvious, and the press will kick up a fuss." Max: "Ok, but bring in Hamilton as well." Massa is no sportsman, rather he is a delusional person who has come to believe that the favourable decisions he and his team so often receive are merited. Paradoxically, it is precisely *because* of these decisions that he will not fulfill his undoubted potential. Because he has been on the receiving end of an approximately 15 point swing in points vis a vis his main contender he will go away more satisfied with his performance than he should be, and making the wrong conclusions as to where he stands in comparison to Hamilton. Because he has colluded with the authorities in rationalising, justifying and accepting these crooked pro-Ferrari decisions, he has probably does not see the need for the continued critical self-examination that would make it possible for him to make the necessary incremental improvements that might make him capable of genuinely challenging Hamilton and Alonso. People who are not honest with themselves never get to the root cause of failure. If he genuinely believes he was in the right in each of the above mentioned incidents, he will end up deluding himself that he's good enough, when he is about 15-20 points worse off than a Hamilton in a slightly inferior car in a mistake-riddled second season in Formula 1. In truth Massa is still only getting the best out of the best car on the grid on about half the tracks on the calendar. He lacks race craft and is a poor overtaker. If he was unable to win the WDC this year, with at least three blatantly wrong decisions that went his way giving him about 15-20 points more than he should have had relative to Lewis, he never will. Unless he makes a significant improvement. And he is not going to make that improvement if he continues to make ludicrous claims such as that he overhauled his team mate in China because of his superior pace. Well Clive, and Flipper304 I agree with you both. Massa's ego has been out of control this year, especially in the last few races. The fact remains that he was only in contention in Brazil because of dodgy stewarding decisions, and the poor showing of Kimi and Heikki this year, and Alonso for the most part not being in a competitive car. But I still feel sorry for him. No matter how much I dislike someone or their actions, I can't find it in myself to delight in their misfortune. Sure, he shouldn't have been in contention but he was, and to have the WDC slip through your fingers like that must be heartbreaking. Oh, and Egon. Nice way to introduce yourself with your first post on here, perhaps you should learn the drill before commenting. We participate in reasoned discussions here, not insults and slanging, and if you had read Clive's post properly - or any other his other work - you would know that Clive is most of the most thoughtful and insightful F1 posters on the web. The hint is in the website title, geddit? On one point - Massa's penalty in Fuji. I watched the race live, with a die hard Ferrari fan (and a hangover each) and we both agreed that Schumacher had lost all his points for the season for trying a similar trick against Villeneuve in 97. Massa was lucky to get away with a drive through - it would almost certainly have been a very different penalty, had it been the other way around. First Clive is not a Lewis "fan". If you read anything he has written without your rosso corso glasses you would see that he is a BMW fan. As a matter of fact I spent a large part of last season trying to convince him that Lewis was the best driver on the grid without much success. As others have said Massa has a very strange view of reality which seems to owe much to his mentor Schumacher and Hamilton's hero Senna. His comments at Valencia that Sutil should have taken avoiding accident to avoid any collision shows not only a warped sense of reality but a complete lack of understanding of the rules. The stewards after the Bourdais incident said they delayed their decision until after the race to allow them to get the drivers' opinions. So either Massa blamed Bourdais or the stewards were lying about the reason for delaying their decision. This site like others frequented by the same group of people does not indulge in blind partisanship of any kind. Before you indulge in a similar pathetic rant on this or any other site you really should find out a little about the views of the people you are attacking. It is quite simple you read what the people have written and then form a view based on that. That's the beauty of the internet. People write their views so that you can read them and form a view. If you only read a couple of hundred words and form a view based on that you are going to be wrong 99% of the time. Clive, we don't even know if Massa said anything to cause Bourdais to get penalised. It wouldn't be the first time that the stewards had completely disregarded the opinions of both drivers involved in an incident and superimposed their own interpretation. There was Montoya/Barrichello in USA 2003, when even Barrichello said that Montoya's penalty was wrong. Even Massa didn't (as far as I'm aware) say that the pitlane incident at Valencia this year warranted the rulebook being thrown out (and since all post-race decisions result in the drivers involved visiting the stewards' office, he would have had opportunity). It would not surprise me if the opinion of the drivers had again been ignored and the stewards had simply claimed they consulted drivers' opinion in the same way as their seniors claimed to consult the fans' opinion. By providing a forum but not paying attention to what happens in it. 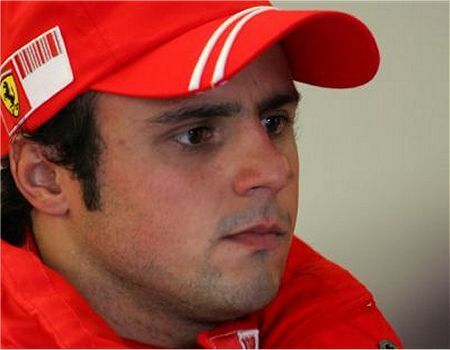 I am sympathetic towards Felipe because he took losing the championship gracefully despite considerable provocation (in addition to the stewarding several people have brought up, he'd also had the information to believe himself champion for 21.4 seconds, could not have known that Glock would inadvertently hand Hamilton the title and had the bad example of the mass of supporters who insisted on booing Hamilton every time they saw him). I wouldn't go as far as you, but I do agree that people is overeacting to how he lost the title and his indeed nice comments after it. Massa does good and is actually humble every time he has to talk about more general stuff like losing the title or earlier this year when the Brazilian press got excited that a Brazilian was leading the championship for the first time since Senna, but then he is a disaster when he has to talk about specifics of races specially when he does something wrong like Fuji or earlier this year when he hilarious told the brazilian press that he felt "something strange" in his car before his Sepang spin ("Massa felt something strange" has become a running joke among brazilian F1 fans that don't like him). Curiously he is almost a perfect opposite to Barrichello who was always good to talk about what happened on the track, but was always a disaster when talking about stuff like his prospects for the season. But I don't think one should really blame him for Bourdais. I doubt that whatever he told the stewards made any impact in their decision. In more happy developments, it seems that after things get so out of hand at Fuji that stewards are now keeping quiet. There were plenty of opportunity for penalties troughout the race: Button's release in the first pit, Kubica's move over Hamilton and Trulli suddenly deciding his a nascar driver and getting payback at Bourdais (which was actually much worse than many on track incidents that got penalties troughout the season). "I was turning in the corner and then he hit me coming out of the pits. There is nothing to comment on. For me, he was a little bit too optimistic on the inside and to me it was completely wrong." Is there any reason to believe he said anything substantially different to the stewards? I agree that the more deserving driver won the championship. But to say that Massa is undeserving because he’s a “bad sportsman” is conveniently ignoring that Hamilton is no paragon of sportsmanship himself. Compare Raikkonen’s profuse apologies after Monaco, to Hamilton’s rather perfunctory attempt at one after Canada. To me, he comes across as arrogant (the “balls” comment that someone mentioned above, to give an example; or when he came to India, that remark he made about him having figured out the other drivers very quickly, while the others are unable to do the same to him) and rather disdainful of his fellow drivers. Why were most drivers rooting for Massa? You could argue that Hamilton is not there to be liked, but to win. But then, that applies to Massa, too. Surely a driver who appears (and must at least certainly feel) persecuted by his own governing body is going to say thing that they don't necessarily mean every now and then? On top of this Hamilton is still young and still very inexperienced in the ways of the media. I know i have said things in the heat of the moment that came across differently to how I actually meant them to. However even if you think that he could have easily avoided the comments or even if you think they were fully meant still does not have anything to do with being an unfair sportsman. There have been many times this year where hamilton has held his hands up and said sorry. I have not heard this once from Massa, in fact he seems to blame everyone but himself. Case in point is the Spa incident involving lewis and kimi. Massa claimed that it had been avoidable and that Lewis went in too hot because he knew that he could get away with it due to the run off area. However run the clock forward to Fuji and we see massa in a very similar position. Does he hold his hands up and say "sorry I made a mistake"? No he claims that hamilton squeezed him off and that he had no choice but to cut the chicane! To me Clive, this is the equivalent of saying, Hamilton does not deserve to be Champion because he ran into Kimi in the pit lane at Montreal. Drivers make mistakes, obviously. The world champion made a HUGE rookie mistake in the pit exit, didn't he? My hats off to Hamilton, Felipe, McLaren and Ferrari for a very good and interesting Championship. Uppili: Do I really think the stewards took note of the drivers' versions in coming to their decision in the Bourdais/Massa incident? Yes, I do. In fact, I have no option but to think so in view of Donnelly's comment on the matter. What other reason could there be for waiting to hear their views until after the race? As Steven Roy pointed out, either the stewards took Massa's version into account or Donnelly is lying (in which case, we are left with only one reason for the delay in assigning blame and penalty in the incident). The matter of Hamilton's lack of sportsmanship is complex enough to demand a separate post, particularly as it is used constantly as an excuse for Massa's behaviour. Since it crops up again and again in these comments, I will address that today. Your final point is an excellent one, I think. Massa has indeed been very dignified and generous in his comments since the championship decider, whereas I, like you, have seen no quote from Lewis in which he gives equal recognition of Massa's worthiness. That is a failing in the McLaren PR machine, no doubt, and something they really need to work on if they are ever to rid themselves of the mud that has been thrown at them in the last couple of years. As Ferrari know very well (see Montezemolo's comments today), it costs nothing to say nice things about the competition and someone should have told Lewis to throw in a few kudos for Massa in his public statements. Flipper: That is a very good point about Massa being better served by honesty regarding his mistakes. All drivers see incidents from a highly subjective viewpoint but Felipe seems to have taken this to an art form level and this does not help in his development as a driver. Pink Peril: Believe me, I do not revel in Massa's disappointment (although I admit to relief that Hamilton won in the end). My point is much more that he was in contention only thanks to some very dubious stewarding, some of which he may well have had a part in, and so my sympathy for him is reduced. The idea is merely to establish some balance in the extravagant praise that is being heaped upon him in the aftermath of the championship and this has required me to be a curmudgeon in the extreme. But hey, balance is worth it! Alianora: All we know is that the stewards delayed any decision on the Massa/Bourdais incident until after they had interviewed the drivers. It is reasonable to assume that they used these in coming to a verdict, therefore, and that is what I have done; AJP's comment seems about as fair a statement of the likely events as is possible in the circumstances, I think. But, whatever really happened, Massa's comments to the press immediately afterwards show that he had a very "original" view of the incident and refused to accept even a part of the blame for it, in similar vein to his comments on the Valencia pit lane incident. I, too, would not be surprised if the drivers' opinions were ignored, although that would leave us with the question of why they delayed the decision for so long. If the drivers' views were of no importance, why wait to deliver the penalty? Filipe: Good point about the silence of the stewards recently and I have no doubt that is thanks to the huge uproar over some of their decisions this year. I suppose that is a good sign in that it shows that even the FIA sometimes hears if we shout loud enough! Again, I have to disagree with you Clive :). For a true sportsman, about whom we are discussing here, you should not need a PR person or team tell you to recognize your rival for his worthiness. It should come naturally if you are really a sportsman, just as Massa did in the press conference without anyone telling him. I am also a little uneasy that you are willing to offer excuses for Lewis and blaming it on the Mclaren PR machine rather than let him take the actual responsibility as he should be. All at the same time blaming Massa for his thoughtless statements on stupid stewarding decisions!! If i extend your logic, it seems to me its the Ferrari PR machine to blame for not containing their man and make him appear like a "sportsman". Rohan: The matter of Hamilton's sportsmanship I will address in a post today but let me just say here that I have not seen many of the quotes ascribed to Lewis - the "balls" one, for instance. I accept that he may have said them but it seems strange that they have not reached the news outlets that I read every day, particularly since they seem so very controversial. It matters not a great deal, however, since I have a small collection of his verbal booboos (the "monkeys" one, for example) and they are sufficient to illustrate the fact that he is pretty good at putting his foot in his mouth. Whether this stems from arrogance or a youthful inexperience at limiting the common language learned from his peers in lower formulae, I am undecided as yet. Looking at his general fresh-faced and uncoached demeanour, I would guess at the latter, however. And yes, I make similar allowances for other drivers - "for sure" I do. Aracer: It would only be similar if Hamilton had denied all responsibility for the pit lane collision in Canada. As a matter of fact, I wrote about that at the time and pointed out the excuses that Lewis could have made in his defense - but he used none of them, merely admitting that it was an enormous blunder. Mistakes happen and everyone makes them; sportsmanship only enters the equation when the drivers give their version of events. Gusto: I do not blame you one little bit for savoring the moment - it has been a long, decade of Ferrari dominance (with brief interruption courtesy of Alonso) and I understand the emotions you are experiencing now. But I'm not so sure about the racism bit. It seems to me that F1 is the least racist of all sports and it is only an over-zealous fringe that have brought the matter into the sport of late. They are best treated with the contempt they deserve, I think. Thank you for mentioning Anthony Hamilton's struggle to see his son's talent recognized and rewarded. This goes a long way to answer the "silver spoon" arguments of some of the Hamilton detractors. Last lot of posts come through and blood down to simmering, I`am amazed that Massa took Rubens place, but he did look like he was gonna take Schmi to the line so `bin him`. I haven't seen Lewis say much about anything after the race. The only interviews I saw were immediately after the race when he had a whole scrum of people sticking microphones and cameras in his face. Having that immediately after achieving your life's ambition after everything he has had to put up with over the last two years I don't think it is remotely surprising that his thoughts were about his team, his family and himself. To be fair Anthony Hamilton who has been ludicrously maligned by the press and commenters on blogs within five minutes of the end of the race not only made very positive comments about Massa but also mentioned Massa's father. Ferrari won the race and therefore their management was represented on the podium. I have no idea who represented them because at the time the podium was of no interest to me. However it is perfectly possible that, that person had a quiet word with Massa about what to say in the press conference. So it is wrong to say Massa did it without encouragement unless there is evidence that he was not coached. Uppili: Oops, nearly missed your second post - it came in while I was answering others. Sorry about that. You are quite right in that I sneakily tried to shift blame for Lewis' comments on to the McLaren PR machine. That says more about my feelings regarding McLaren's lack of PR than about excusing Hamilton, however. As I said in my response to Rohan, Hamilton's verbal booboos tend to be of the arrogant/crass sort, rather than the avoidance of blame for incidents in the race. The same cannot be said for Massa's occasionally ludicrous explanations of why he is never at fault. And there is a difference, if we are discussing sportsmanship. Any amount of arrogance does not prevent one from playing by the rules but refusing to see that one can be in the wrong illustrates an approach to racing that has little regard for the rules when applied to oneself. I do not think you can accuse me of being too hard on Massa in all this. If you recall, I was one of the few voices prepared to consider his "mistake" in Sepang as anything other than an inability to cope without traction control. It is only since then that I have become doubtful as to his character and that has been fuelled entirely by his own comments after races. It may well be that I am easier on Hamilton but that, again, is the result of watching his interviews and statements through the year. He strikes me as being as undeveloped in his ability to handle the scrutiny of the media as he is developed in his ability to drive a car. Many see him as arrogant but I do not. Just a little too eager to mention his own talent, that's all - and Senna was the same. Gusto: But how do you stomp on it? We have to be careful that we do not become as guilty as the offenders in our reaction to such things - just as "political correctness" has become the the great arbiter of unforgivable sins in the modern age. The best answer is always for us to celebrate the achievements of the good and great regardless of race, nationality or color and, by so doing, show how wrong it is to consider anything but excellence as the deciding factor in sport or life itself. Sorry Clive but massive tangent, Steven Roy just stumbled on your reply to my `shuttle is more beautiful to a F1 car` Damm Hubble anomaly, you know of any good space blogs?. I did? How did I do that? I have never got into space blogs. I have never looked for one. I tend to use the NASA site and NASA TV. 10 days to go till the shuttle launch and assuming everything goes OK with the mission then we can look forward to the ISS accommodating a 6 person crew early in the new year. Hubble now has its number 2 camera in position and is working well again. I haven't seen the new dat for the shuttle mission but I would think they will want to leave it a few months to make sure the last servicing mission is the last and they don't have to fit another shuttle mission into the schedule. It was a remarkable piece of timing that Hubble failed a few days before the service mission was due to launch. I used to do a space blog myself, strangely enough, and found the Hubble site itself extremely useful. Also the NASA site is a mine of information and beautiful pictures. As regards blogs, I never really noticed any others, to be honest. Gusto: Poor old Timo - suddenly a hero to some and a demon to others and all through being in the right/wrong position inadvertently. Will he ever live this down? I still think Rubens was/Is a better driver than Felipe?. I think you may be right about Barrichello - at his peak. The problem is in deciding just when that peak occurred. His long years with Ferrari were so difficult to assess, given that he was playing the dutiful second driver, and the same applies to Massa, although to a lesser extent. Certainly, there were days when Rubens had the beating of Michael but, in 2006 there were times when Massa was quicker too. But was Barrichello at his best while he was with Ferrari? I am not sure. Massa certainly is and he continues to improve as time goes on. It's a hard one to call. Clive: Hockenheim 2000. Till Massa wins a race like that, I can't rank him as high as Rubens. It is simple to explain why the stewards waited to give the penalty - so that they'd have more time to come up with an excuse for their actions. I have a horrible feeling they knew they were going to penalise Bourdais irrespective of what happened. Perhaps they had decided that since McLaren had the $100m fine last year, that Hamilton as its representative should not win anyway because it would put egg on the FIA's face. The budget cap seems to have gone away, now that the standard engine is Mosley's latest rave. Just on his inability to maintain some semblance of stability in the regulations, I think he is totally unsuited for the job of FIA president. Every time he changes his mind about what will be the rules for next year, more cost is incurred by the teams. This has been going on for years and it becomes very obvious that Max is not working to any kind of plan - he is swayed by whatever happens to have caught his attention for a moment. "Aracer: It would only be similar if Hamilton had denied all responsibility for the pit lane collision in Canada." Are you serious, Clive? How does one deny wrong doing when he wrecks one of TWO cars stopped at pit exit......PLEASE! He turned left to hit Kimi's Ferrari. It's not like he had any reasonable explanation at all except I lost my brakes....come on, Clive. How does one deny wrongdoing after turning into the guy on the inside of a corner? It is as obvious a mistake as was Hamilton's. As for turning left to hit Kimi, that is the craziest theory of all surrounding the pit lane accident. Hamilton went for the only gap available and failed to make it, that's all. If you want a reasonable explanation for what happened in Canada, read my post on it. Ever hear of the classic rear-ender?